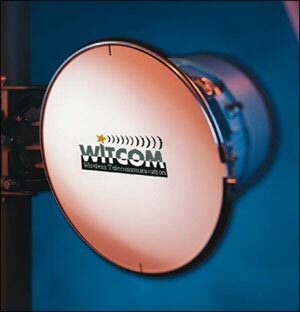 WL-2000R is a cost-effective, line-of-sight digital radio transmission solution operating in frequencies up to 38 GHz, which converges high-speed voice, data, Internet and video traffic. The system supports extensive, scalable data rates from 3 Mbps to 52 Mbps with flexible interfaces. The WL-2000 link consists of two terminals separated by a free space, line of sight transmission path. Each terminal comprises a 1U high, 19" rack mounted indoor unit (IDU), interconnected by a single coaxial cable to a compact, aesthetic outdoor unit/antenna (ODU) mounted on a tower or rooftop. 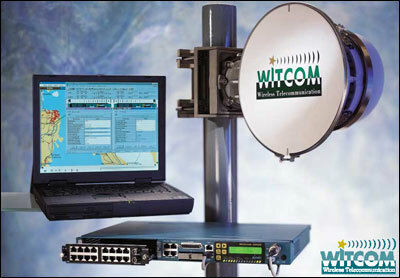 WL-2000 is used in applications such as Internet access for ISP POP backbone and business customer access, Multi-Tennant Users (MTU's), Multi-Dwelling Users (MDU's), wireless bridge LAN-to-LAN interconnection, cellular or PCS cell site interconnection, local telephone company bypass, high-speed data exchange over Frame-Relay and high-speed data/voice/video-conferencing over ATM. WL-2000 supports scalable data rates from 2*DS1 to DS3+4*DS1 or 2*E1 to E3+E1 with one IDU. Integrating a fully digital design, WL-2000 is the first system to offer a scalable solution, eliminating the need to match IDUs to specific capacity requirements. The compact, aesthetic WL ODU is capacity independent as well, resulting in quicker deployment and redeployment, simplified logistics and reduced sparing requirements. The WL-2000’s plug-in design enhances IDU flexibility and enables future expansion according to dynamically growing and changing needs. Unlike existing solutions that require a different IDU for different services, capacities and interfaces, WL-2000 is the first radio system that incorporates front-loadable plug-ins to support diversified network requirements. With the WL-2000 plug-ins, operators and end-users can determine IDU capacity and interface flavors. WL-2000 delivers one platform for three different environments: PDH, Wireless Bridge (10/100Base-T LAN) and entry-level SONET/SDH. All plug-ins are "field upgradeable." PDH plug-ins support DSX (16*DS1/DS3) or CEPT (16*E1/E3) interfaces. WL-2000 plug-ins enable software controlled "reduced capacity" utilizing "Spectrum-by-Demand." WitLink-2000 can scale from low capacity (such as 4*DS1) to high capacity without the need to change existing hardware and without losing sensitivity. The system adjusts the spectrum used according to the selected capacity. The DS3+16*DS1 plug-in for example can be configured via software to 4*DS1, 8*DS1, 16*DS1, DS3, DS3+1/2/4 DS1s. The 8*DS1 mode uses a 12.5 MHz channel spacing, compared to DS3+4*DS1 which uses 50 MHz channel spacing. This seamless upgrade optimizes capital investments while simplifying logistics and reducing spare parts and product stocking. The Ethernet 10/100Base-T interface plug-in supports wireless bridge (LAN-to-LAN) applications, significantly driving down the cost-of-operation by eliminating expensive leased lines. This application is ideally suited for ISPs and private networks. Using 10/100Base-T interfaces on a Router instead of DS3/E3 interfaces saves additional costs. The expensive high-end routers on both ends can be eliminated in some circumstances. The plug-in comprises two 10/100 Base-T ports (full duplex) + 4*DS1 or E1 ports and utilizes software configurable channel spacing according to the required maximum throughput in the air (max. 51 Mbps). Full transparent bridging is performed. The 4*DSI or 4*E1 enable seamless convergence of the LAN as well as for existing PBX/Video lines, saving the need for additional parallel radio links. The STS-1/STM-0 plug-in provides an entry to SONET/SDH transport rates capable of supporting data rates of 51.84 Mbps. SONET/SDH applications are ideally suited to customers who need to connect PCS/PCN and WLL backbones using ring topology, last mile extensions in fiber networks and links between LMDS hubs. WL-2000 uses an innovative, software controlled, scalable digital modem, eliminating the long calibrations and system tuning required in conventional radios. The system's digital design assures performance stability, superior aging characteristics and boosts system reliability. All parameters can be easily controlled from the front panel touch-keys or via the WVTM SNMP Network Management System. WL-2000 incorporates powerful built-in tests, as well as near- and remote-end loop-back functions. A pseudo random bit sequence generator enables the insertion of a standard test signal for bit error rate (BERT) measurements. Combining innovative architecture and cutting-edge digital implementation and software technology, WL-2000 offers advanced features at the best price/performance ratio in the market. WVTM is an intuitive, network management system with enhanced diagnostic and performance monitoring tools. It provides open, reliable and user-friendly GUI-based SNMP management. Based on a standard SNMP platform, WV can be integrated with HP OpenView or used as a stand-alone management application. WV supports local and remote terminal configuration, status/alarm reporting, statistics and diagnostics. WV allows proactive management of all links from a single operator console running on Microsoft Windows 95/98/2000 or NT stations. A unique 10Base-T Ethernet management interface on the IDU enables convenient management from any Ethernet LAN attached management station. The WL-2000 Management IP Network supports Routing Information Protocol (RIP) valuable in case of a multiple cascaded links topology. This implies that the creation and updates of terminal routing tables is performed automatically so that they can adjust to network changes while maintaining a steady IP path to all terminals. SNMP over SLIP and cascading between IDUs are also standard features. All radio links can be easily in-band or out-of-band controlled from the management station. IP Routing in each agent routes the management information throughout the network, allowing simultaneous management of all links from a single console. Trivial File Transfer Protocol (TFTP) enables remote software and configuration upgrading. One For All product. Support PDH, Wireless Bridge and Entry-level SONET/SDH by simply changing plug-ins.